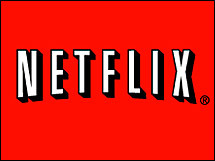 Netflix announced today a new pricing structure for plans to separate disc delivery and instant streaming. In essence, the price has doubled for their most basic subscription service as a result. What’s wrong with making streaming a $2 add on to a DVD subscription? Why not a bundle price like every other subscription provider offers? While I admit I don’t watch the disc movies as often as I had in the past, that’s mainly because the only optical disc player I have at the moment is in my computer. But most of Netflix’s catalog is still on disc, including everything from HBO. Doubling the price of the basic 1-disc subscription to add streaming just doesn’t make sense. How does it satisfy customers who only wants discs to gouge their existing customers who want both? Judging by the response to the announcement, nobody is happy with this. It seems like a $0.99 rental per movie from another service added on to the Netflix streaming will be the way a lot of people go … if only Redbox had a better selection. I just don’t see how they will increase their business by alienating loyal customers. They even seem to realize this fact by ending the announcement by reminding everyone how to cancel their account. Complete Netflix statement after the jump. Jessie Becker, here to share two significant changes at Netflix with you. First, we are launching new DVD only plans. These plans offer our lowest prices ever for unlimited DVDs â€“ only $7.99 a month for our 1 DVD out at-a-time plan and $11.99 a month for our 2 DVDs out at-a-time plan. By offering our lowest prices ever, we hope to provide great value to our current and future DVDs by mail members. New members can sign up for these plans by going to DVD.netflix.com. Second, we are separating unlimited DVDs by mail and unlimited streaming into separate plans to better reflect the costs of each and to give our members a choice: a streaming only plan, a DVD only plan or the option to subscribe to both. With this change, we will no longer offer a plan that includes both unlimited streaming and DVDs by mail. Plan 2: Unlimited DVDs, 1 out at-a-time (no streaming), for $7.99 a month. The price for getting both of these plans will be $15.98 a month ($7.99 + $7.99). For new members, these changes are effective immediately; for existing members, the new pricing will start for charges on or after September 1, 2011. Last November when we launched our $7.99 unlimited streaming plan, DVDs by mail was treated as a $2 add on to our unlimited streaming plan. At the time, we didnâ€™t anticipate offering DVD only plans. Since then we have realized that there is still a very large continuing demand for DVDs both from our existing members as well as non-members. Given the long life we think DVDs by mail will have, treating DVDs as a $2 add on to our unlimited streaming plan neither makes great financial sense nor satisfies people who just want DVDs. Creating an unlimited DVDs by mail plan (no streaming) at our lowest price ever, $7.99, does make sense and will ensure a long life for our DVDs by mail offering. Reflecting our confidence that DVDs by mail is a long-term business for us, we are also establishing a separate and distinct management team solely focused on DVDs by mail, led by Andy Rendich, our Chief Service and Operations Officer and an 11 year veteran of Netflix. Now we offer a choice: Unlimited Streaming for $7.99 a month, Unlimited DVDs for $7.99 a month, or both for $15.98 a month ($7.99 + $7.99). We think $7.99 is a terrific value for our unlimited streaming plan and $7.99 a terrific value for our unlimited DVD plan. We hope one, or both, of these plans makes sense for our members and their entertainment needs.